Gardens of the Queens holds a special place in my heart. 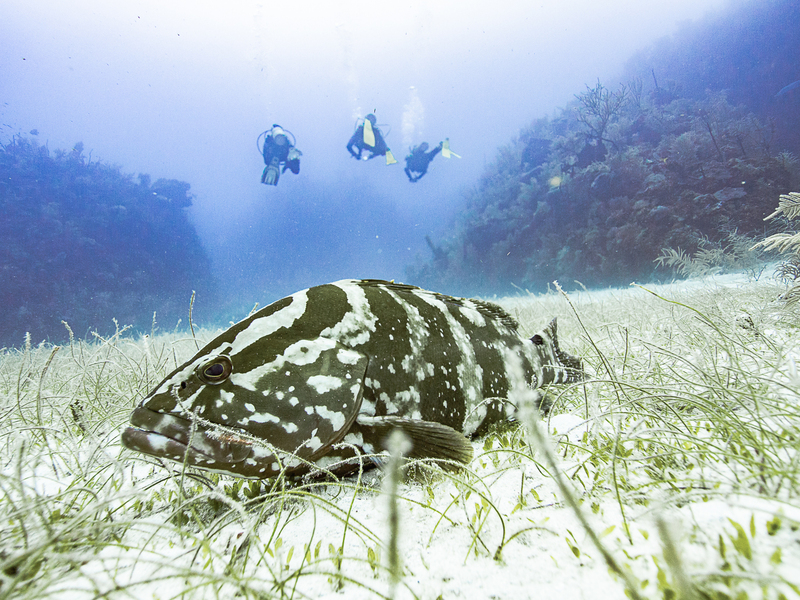 A mythical reef off the southern coast of Cuba rumored to be one of the best in the Caribbean, home to innumerable sharks and curious friendly groupers. The Gardens of the Queens archipelago is only accessible by liveaboard, and hosts less than 1000 dives per year. To say the is the pinnacle of exclusive diving is an understatement. I wake up, zip up my bags and head to the bus stop in the center of Havana Viejo, the old center of Havana Cuba. In my early morning stupor I find a group waiting on a street corner, huddled around a handful of suitcases, and a pair of fins. “Are you the scuba divers”, I ask? It seems I’ve found my tribe. Ten minutes later we board a cushy bus equipped with reclining seats. We’re off on a six hour ride from Havana due Southeast toward the central coast of Cuba. Along the way we make a few stops, a quick coffee followed by Cuba’s best Pina Colada an hour before our destination. We arrive at the Jucaro port around 2pm ready to board our vessel the Avalon 2. The Avalon Diving Center has been operating in the Gardens of the Queen for over 30 years. 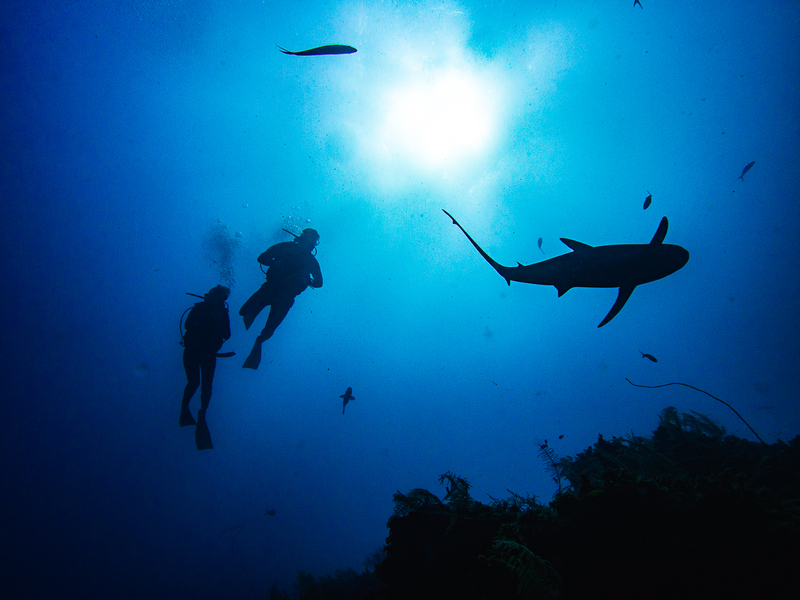 The Avalon group runs excursions for scuba divers and also catch and release fly fishing, and profits from these actives go back into protecting this unique marine environment. Once all the passengers arrive to Jucaro we set sail. Gardens of the Queens or Jardines de la Reina as it’s known in Spanish is another 48 nautical miles from the coast. It takes us five hours before we arrive at the mooring and tie up for the evening. The excitement is palpable, we’ve travelled nearly 12 hours just in Cuba, not to mention the distance everyone has travelled to get here. Gardens of the Queen is an archipelago of islands running parallel to the Cuban coast from Cayo Breton to Cayos Mordazo and spans both the Camagüey and Ciego de Ávila provinces. Because of its location and size, the Gardens of the Queen is only accessible by boat from the port of Jucaro. Gardens of the Queen is one of the largest protected areas in the Caribbean, and was declared a Marine Park in 1996. 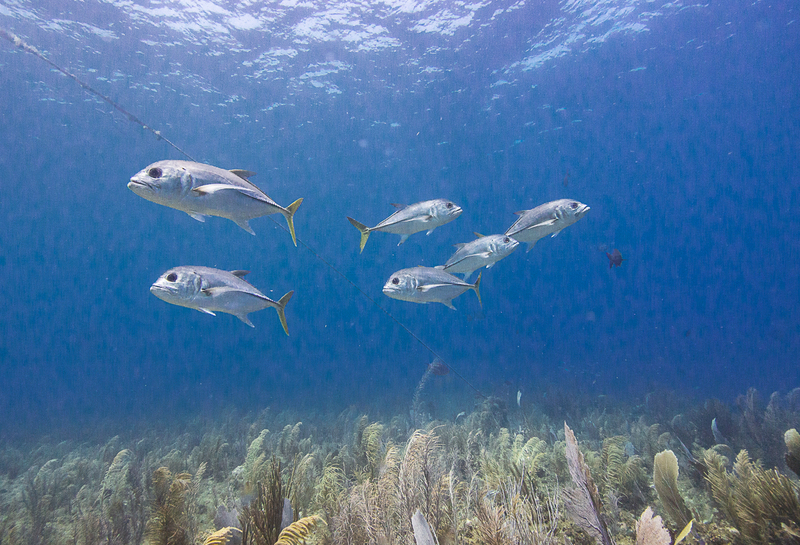 Together with the Cuban Sciences and Environment Ministry, this area has been preserved for future generations as a complex network of untouched marine ecosystems. 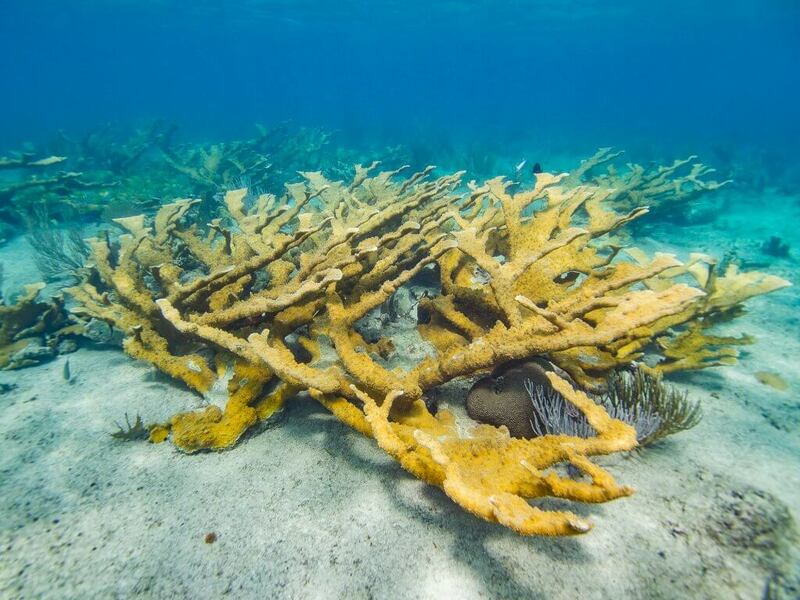 It has been regarded by many knowledgeable scientists and organizations as a reference of what is the original status of a coral reef, a time-capsule as it was found by Christopher Columbus in the times of the discovery. The Gardens of the Queens park is a mangrove archipelago that stretches 72 nautical across the southern coast between Cuba and the Golfo de Ana Maria. All this protecting sure has paid off. The marine protected area is one of the largest in Cuba, and one of the oldest in the Caribbean. The next morning we are surrounded by turquoise water inside a white sand fringed mangrove lagoon. Time to go diving! We hopped onto a smaller dive skiff and head out for our first dive to a shallow site named La Cana. This was a picturesque Caribbean reef with white sand, coral bommies and schooling fish but it didn’t take long for Gardens of the Queen to live up to it’s reputation. Within two minutes before a pair of inquisitive reef sharks join us for the dive. 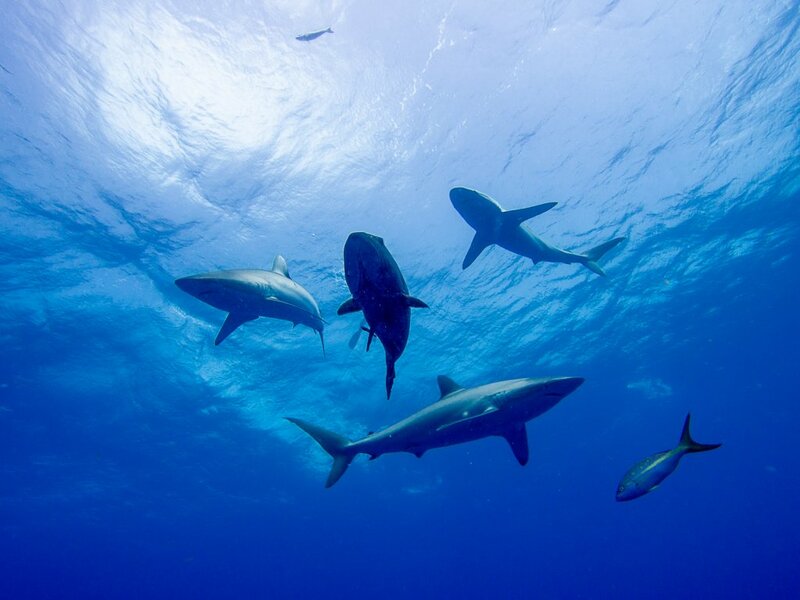 The sharks were big, at least 2m long and came close circling around each diver. 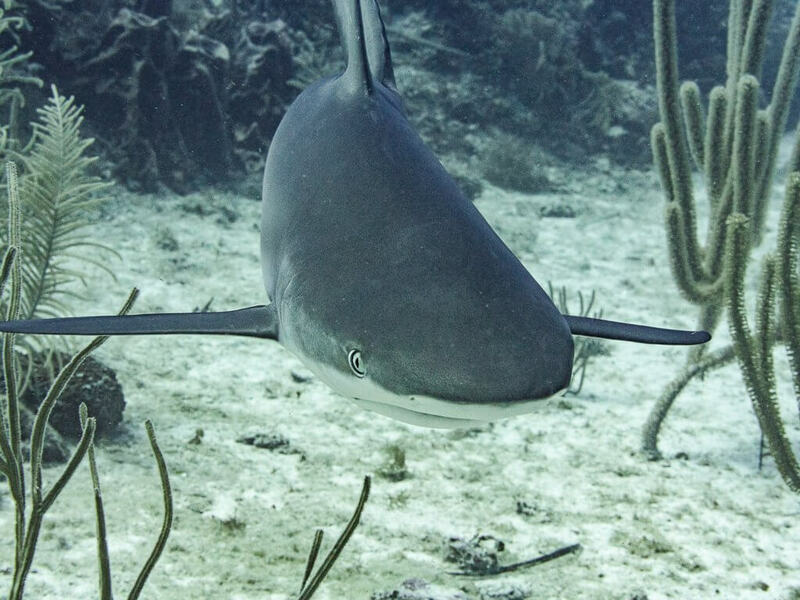 There are very few places left in the Caribbean where you can jump into a dive and be guaranteed to dive with so many mature sharks at once. There wasn’t a single dive in Cuba where we didn’t see a shark. We spent the next week diving around the park, falling in love with the curious groupers, diving with silky sharks, exploring reef walls, snorkeling a must see Elkhorn reef, and searching for rare corals. 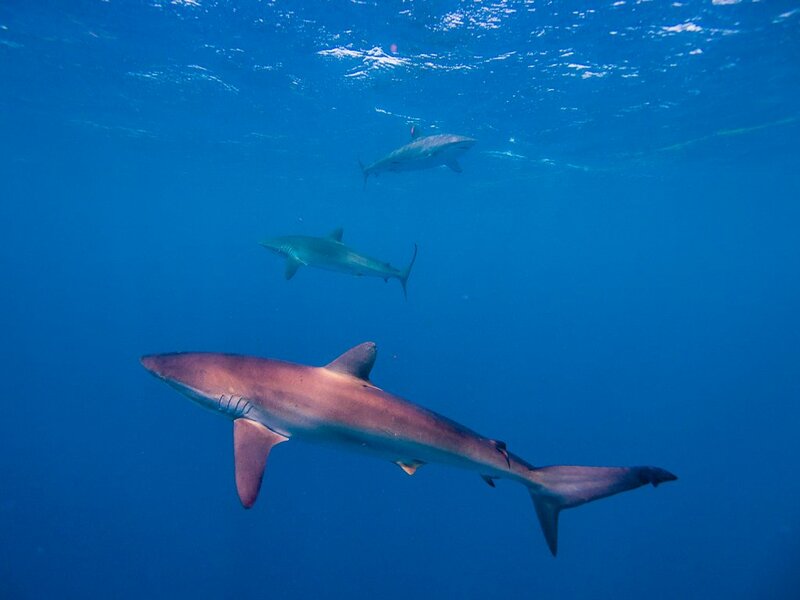 Most dive site are between 5-15 minute away from the ship, and asides from the adrenaline of diving with the sharks, the sites are quite easy, shallow, minimal current and good visibility. We only did three dives on deeper reef walls the rest were reefs between 6-20m deep. But this was our choice, if divers would like to spend more time on deeper dives the guides have no problem accommodating the groups request. While most people have Gardens of the Queen on their bucket list for sharks and groupers, I have one goal in mind… The search for rare corals. In 2017 I set myself a mission, photograph and identify all the Caribbean coral species. I got close with around 58 species photographed and identified, but there were still a handful of species on my list seriously keeping me awake at night. I had to find these corals and thought perhaps Gardens of the Queen, the time capsule of Caribbean reefs would hold my final treasure. I’ve been in love with coral ever since my first dive back in 2006. And after working in the diving industry just as long, I came to realize divers aren’t looking at corals, they weren’t paying attention to them as they were the diversity of fish or other marine creatures. Corals are a vibrant diverse community of animals which often get overlooked or categorized as background. I wanted to change this, and I am on a mission to bring corrals into the spotlight by highlighting their diversity and beaut. And while I was only able to cross one of the elusive Caribbean corals off my list, I was surely not disappointed in the overall coral diversity of the park. Coral spotting is diving with the intention to observe coral diversity. Anyone can be a coral spotter, and I love sharing this message with experience divers even dive professionals as it add’s a new dimension to diving, one to evolve your perception of the underwater landscape and allow you to see the reef with new eyes. It’s easier to spot and appreciate large colonies like the king of Caribbean corals the Elkhorn Acropora, but to be a coral spotter it’s all about searching for the rare and unusually, stand out colonies, or beautiful simple corals you could easily miss if you weren’t paying attention, many of them easy to miss. This make diving become a treasure hunt, never knowing what’s under the next rocky ledge of resting in the sand. Overall I found the corals in Cuba had a high diversity among species, with many color morphs I had never seen anywhere else. But as Cuba is inside the hurricane belt, there weren’t many colossal coral colonies (expect the magnificent elkhorn corals). If you’re heading to Cuba, or anywhere else in the Caribbean for that matter we want to share a few unique corals with you that you can start spotting on your next dive! And since I’ve already mentioned the king of Caribbean corals, we need to first pay homage to the one and only Acropora palmata the Elkhorn Coral. We found just such a reef while diving in the Gardens of the Queen, Cuba. The shallow wave-washed reef is only accessible for snorkelers and no diving is allowed to further protect this iconic Caribbean species. If you’re heading to Cuba make sure to request this snorkeling site, it is well worth you time to skip a dive to visit this Elkhorn forest, a true gem of the archipelago. Scolymia is a large polyp coral species that lives a solitary life. 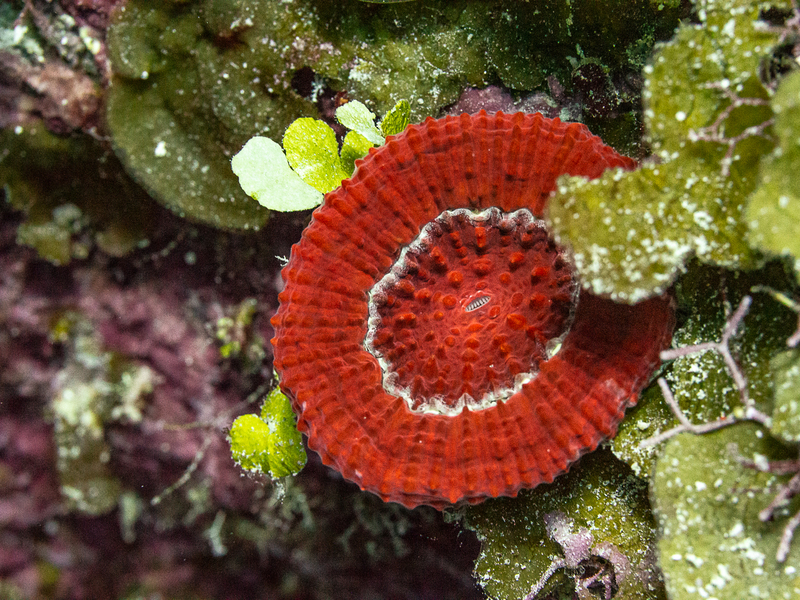 There are two species of Caribbean Scolymia, the larger Scolymia lacera, and smaller Scolymia cubensis. 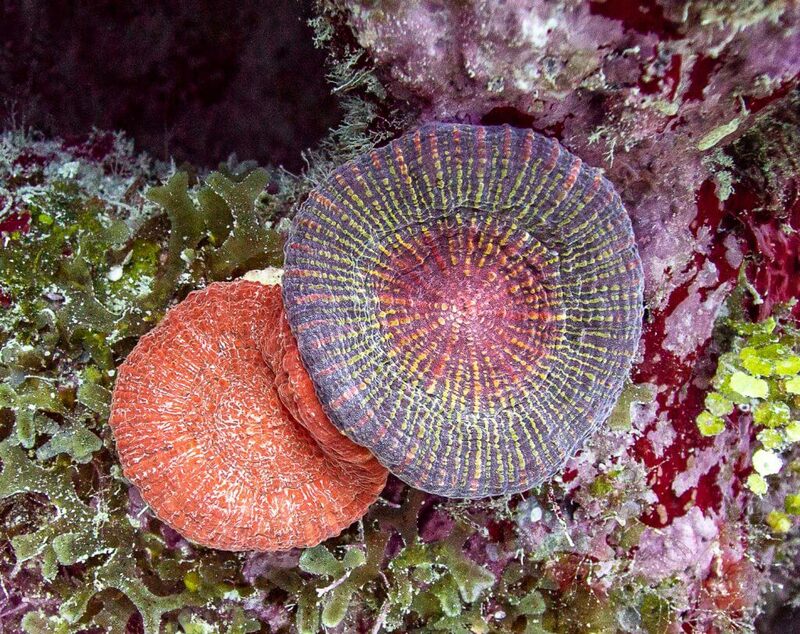 While scuba diving in Gardens of the Queen, Cuba we spotted a few dozen colorful examples of each species however it is the smaller of the two, Scolymia cubensis which stood out at the holy grail. You can find these single polyp corals attached to rocky walls or hard reef substrate. Look for scolymia corals with up to four different colors in the same coral to really fulfill your coral spotting treasure hunt. Mycetophyllia is a diverse genus of Caribbean corals with five species. I am not limiting my list to a single one, however, just to bring attention to this abundant colorful coral. Cactus Corals are found living in all reef habitats from the shallow bight reef down to low light walls. This coral has a thick layer of tissue covering the skeleton and can have intricate color patterns. If you want to practice some macro photography skills, Mycetophyllia is an elegant subject. 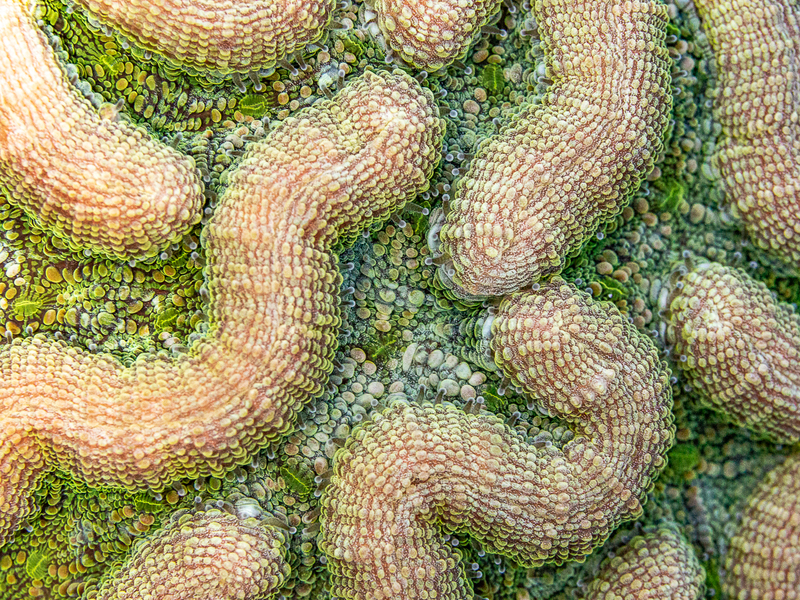 These corals are mostly plating or encrusting and no two colonies are alike. Each one has it’s own unique color pattern which is what make the hunt for cactus coral so interesting. 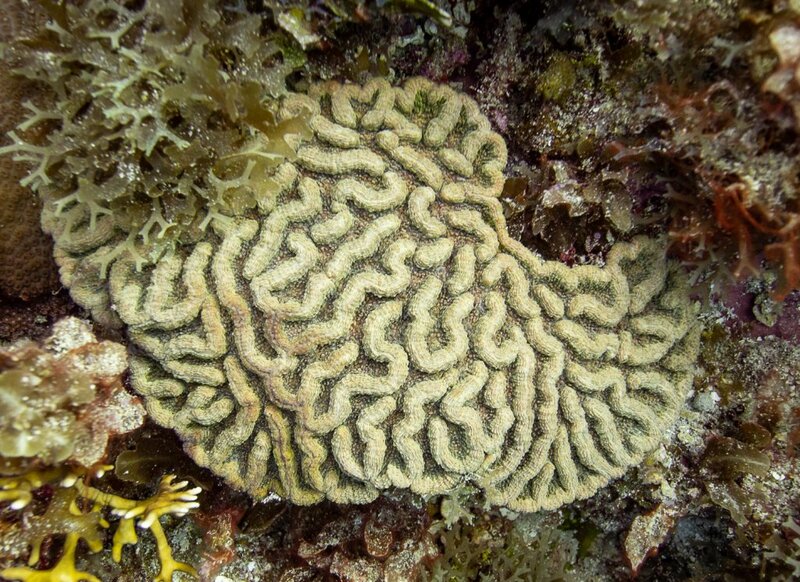 Dendrogyra cylindrus is one of the rarest corals in the Caribbean and is listed as a threatened species under the United States Endangered Species Act. 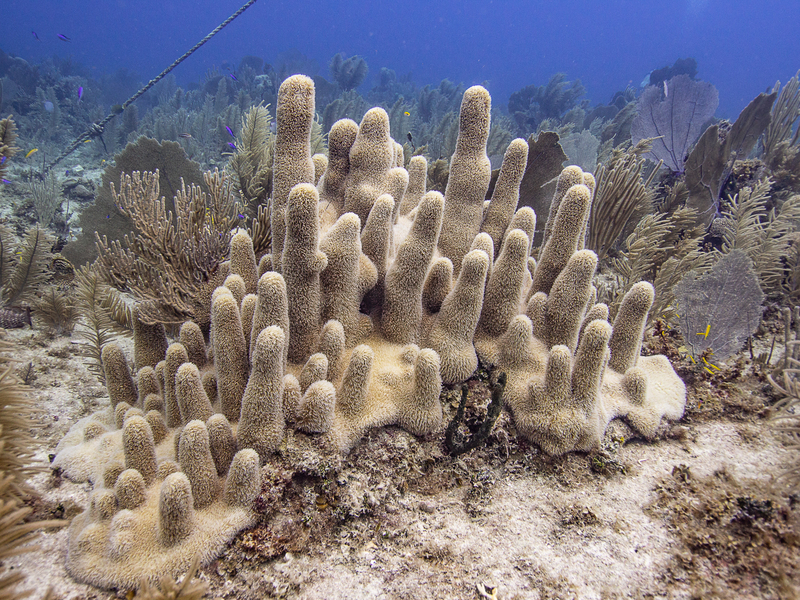 Dendrogyra colonies grows into pillars, spires, or columns that can reach more than 6 feet tall, no wonder the common name for this coral is the Caribbean Pillar Coral. Dendrogyra is found in flat, sheltered locations, ranging from the southern tip of Florida down to Venezuela and Panama. Colonies have encrusting bases which spread across rocks with tall spires grow upwards from the base. Pillar corals are found in shallow reef habitats full of sunlight. They can be found in a current or near shore where waves stir up nutrient in the water. 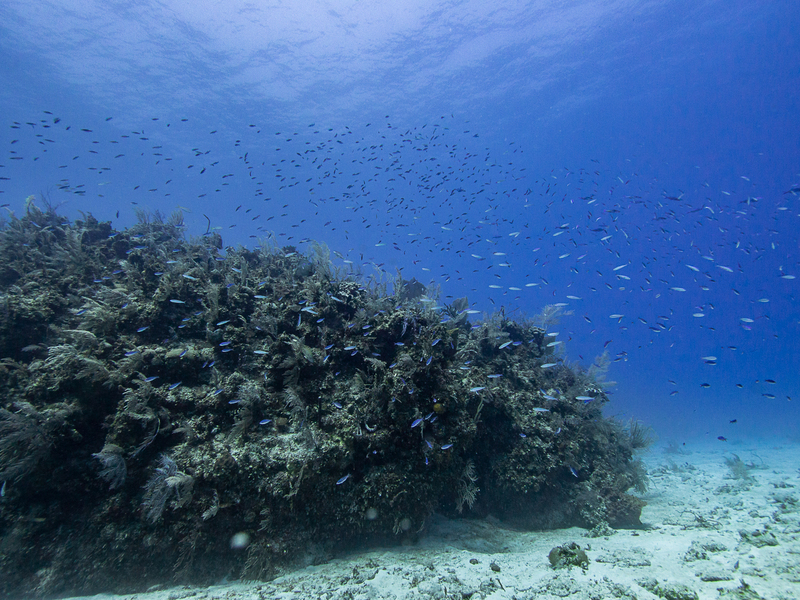 It is uncommon to find a Pillar coral past 80 feet, as their preferred habitat it near the surface. If you’re planning a trip to Cuba, or anywhere else in the Caribbean for that matter take the time to slow down and take a closer look at coral diversity. 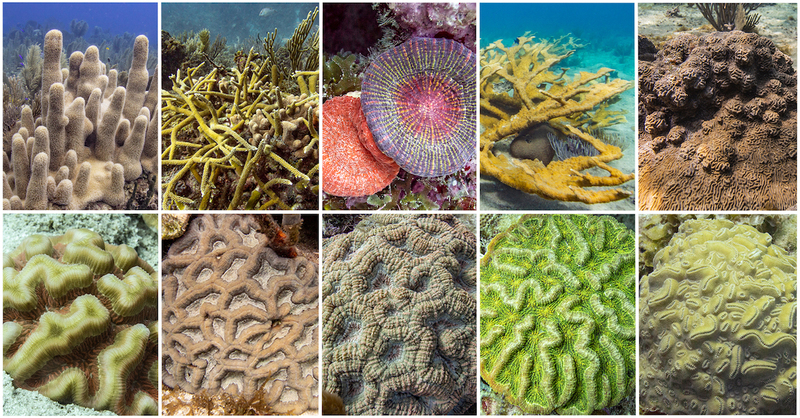 You will be amazed at just how diverse coral can be even among the same species. And without corals, it’s sure the fish and shark we love to see underwater would disappear before we know it. Recognizing coral diversity helps bring awareness to corals. And the more we know about something the more likely we are to protect it. Give it a go and try coral spotting on your next dive.